I usually write about running and fitness for its own sake. Working out so you are healthier or so you are well-trained for a goal race. For many years, I’ve kept a 5-year journal. Every day, there is room to write a sentence or two about what happened on that day for 5 consecutive years. On any given day, I can look back and be reminded of what I was doing on that day in the years past. Last month, via this 5-year journal, I was reminded that 3 years ago I was in Ecuador and the Galapagos Islands, traveling with REI Adventures. Left to my own devices, I prefer to travel alone. However, many destinations aren’t appropriate for solo travelers, especially if they plan on doing a ton of hiking. Even I’m not going to try to hike alone in Patagonia. REI Adventures has been a great solution. I’ve traveled with them several times, going to Ecuador, Patagonia (Argentina and Chile), Iceland, and New Zealand. Each trip was as active as you’d expect from outdoor-outfitter REI. Lots of hiking, some biking, and even a little kayaking. My fellow travelers and I were all in pretty good shape and were well-prepared for these active trips. However, if you aren’t physically prepared, your experience on these types of trips could be dramatically less positive. 10 miles into a hike in the Torres del Paine in Chile is not the best time to realize you aren’t in great shape. 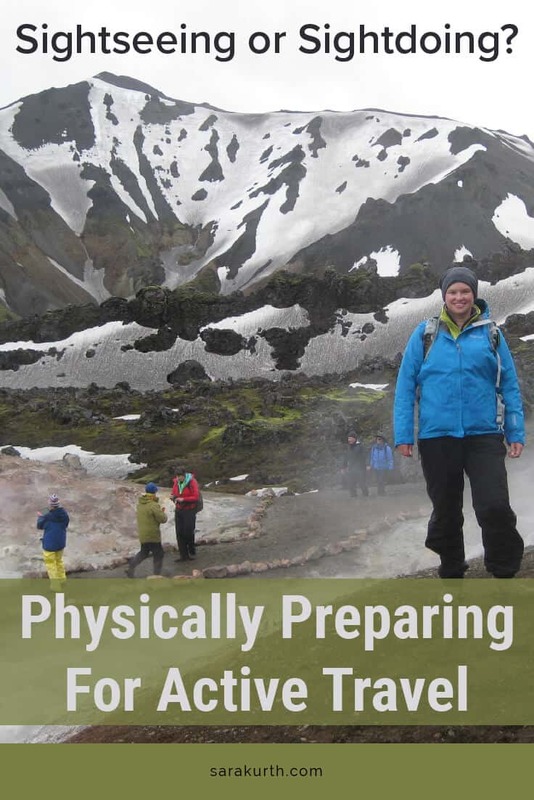 So how do you physically prepare for active travel? Note: for the purposes of this post, I’m assuming your trip is mostly hiking, or a multi-sport trip with hiking or trekking as the primary activity. 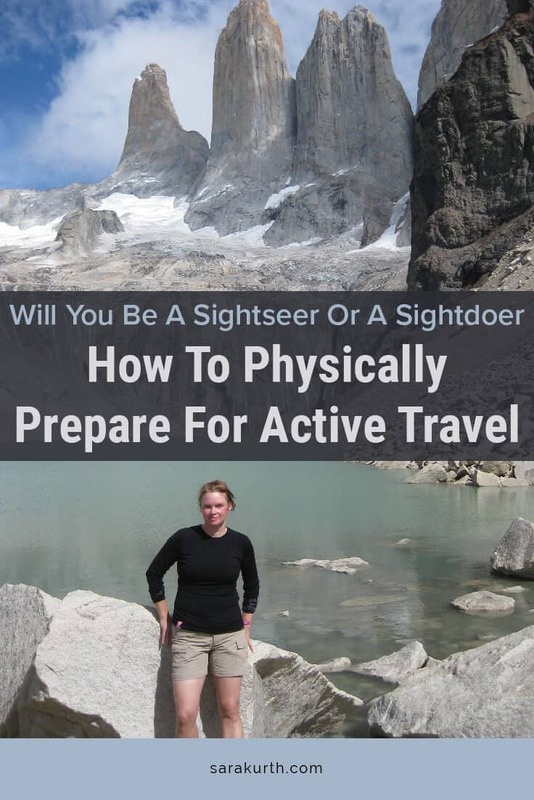 Check with your tour operator to see if they have trip-specific suggestions on how to physically prepare for your trip. The best time to start training for an active travel trip is now. Even if your trip is a year out, you can start building your fitness now. It’s a better (and safer) approach to build up your fitness slow and steady over many, many months. Injuries become more likely when you try to get trip-ready in the month before you leave. That last-minute training push can result in you working too hard. Beginning trip-specific preparations at least 3 months before you leave is a good amount of time to prepare. ‘Active travel’ doesn’t have a single definition. For some companies, any trip that involves any walking is ‘active.’ Others, like REI (the active travel company I am most familiar with), has a 1-5 rating scale rating how active any trip is: 1 is ‘Relaxed’ (walking less than 3 miles of flat terrain a day) 5 is ‘Strenuous’ hikes up to 12+ miles, elevation change or 4000 feet of elevation gain per day – think hikes to Everest Base Camp. Like training for a flat 5k and hilly trail marathon will differ significantly, so will preparing for active travel trips at different levels of activity. While there is no one size fits all training approach, the basic plan I lay out below is a good place to start. For active travel, proper footwear is essential. 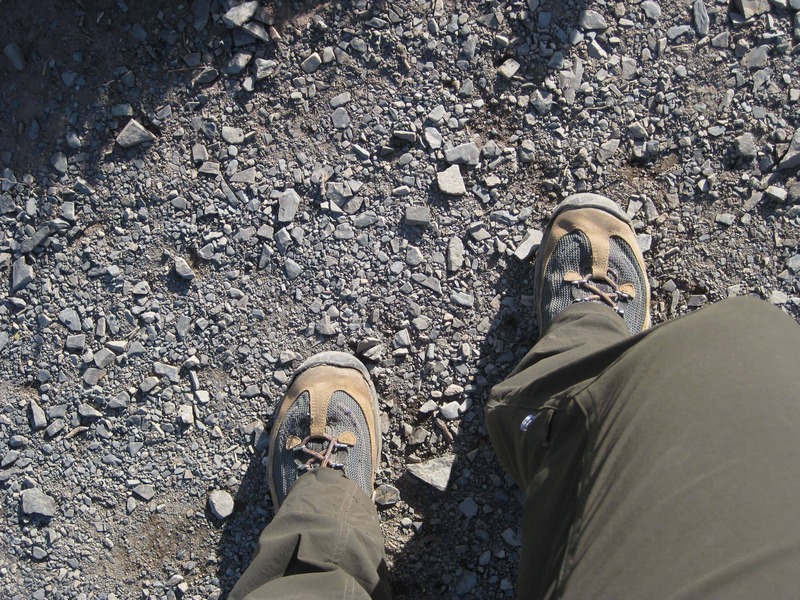 Get a good pair of hiking boots or shoes, and break them in before you travel. Hiking with a brand new pair of shoes while you are in the middle of Switzerland is the wrong time to find out they cause serious blisters. If you will be using additional gear on your trip (be it hiking poles, a daypack or a backpack), test that stuff out thoroughly too in the weeks and months before you leave. You don’t need to use this gear on all of your hikes, but test them out pretty regularly, making sure your pack is the approximate weight they’ll be when you travel. Break in all of the gear you’ll travel with to make sure everything fits well and works for you. Consider the types of conditions you’ll be traveling in. Try to mimic those conditions on some of your hikes. For example, if you are going to be in the Alps, be sure you are hiking in hilly terrain. If you live in the flatlands, use a treadmill on a high elevation setting, use the stairclimber, or find a pedestrian overpass to repeatedly hike over. Note: Starting any new physical endeavor can be a challenge. Consult with your doctor or a qualified medical professional before you being any new workout plan. For this post, I only provide general guidelines. Please feel free to contact me if you’d like help creating a more specific plan for your trip. 3 days a week of cardio. Each session should be 20-30 minutes. 1 session should be hilly or done on a treadmill incline. At least 1 yoga or stretching session to maintain mobility. What about you? Have you ever done active travel? How did you prepare? If you are hiking and carrying gear, your choice of packs is important. They need to be fitted (while loaded.). REI does this well. Also need to be tested and broken in just like boots. I found out in a near disaster last year that my new pack didn’t cut it. This year/-all is well with new geagesr. Also—you are carrying stuff. Every ounce matters. Be ruthless in your packing. I totally second ‘be ruthless in your packing’! Set out everything you think you’ll need as you pack, then remove (at least) half of it.